Perhaps the most important gift you'll give this season, if you love your pets the way I do, is a nice little treat for your furry family member. The secret is out, I got our frenchie Pierre this adorable Woof Clicquot dog toy so that he too can enjoy the splendor of brut rosé. Last year I gave Caillou, my family's toy poodle, the Grey Dog Bottle and the whole thing was a riot. My mom found the toy so funny, Calliou loved it and my sister Becky couldn't stop making references to Caillou becoming a full on alcoholic as a result. I found the toy in an adorable pet store on the Gold Coast in Chicago called Tails in the City but the brand that makes them has a whole array of hilarious toys referencing well known liquor bottles, designer handbags, Starbucks cups and the list continues. I have a few here on my guide but you can find most of them here. 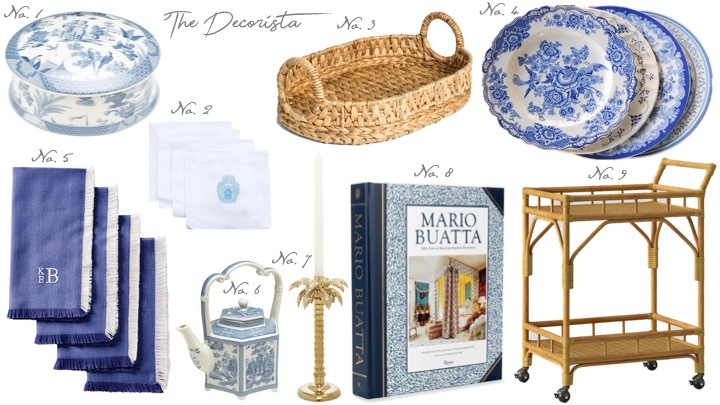 From this gift guide I can also attest to the lovely beach inspired blue and white striped monogram dog bed that I gave Pierre last year. It's adorable and comes in a few different colors. We also gave hime the beautiful toile blue and white dog dish but unfortunately his face was too flat to fit in the bowl without upsetting his skin so I'd just go a size up if you have a French bulldog. More ideas below, enjoy! Dressing for the occasion... the holidays have many fun things and perhaps one of the best, next to all the yummy treats, is the opportunity to get dressed up for the night. Particularly during this time of year, you can get away with being pretty damn glamourous. The embellishments, sequin, tulle, ruffles, velvet, bows and fur. It's all acceptable this time of year and I love everything about it! 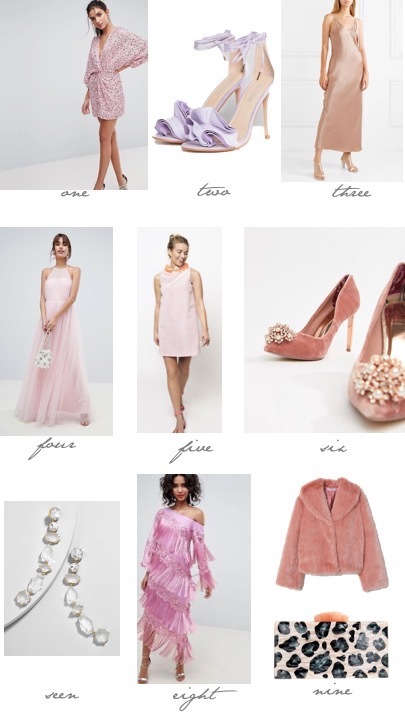 For me it's really fun and nothing is off limits so I put together a little list of all my favorite ideas for what to wear. Keep in mind that it's the holidays so it's more than welcomed to be a tad extra. Enjoy! One special thing for me every year is the fact that I celebrate both Hanukkah and Christmas. Yes, you heard that right, I do both. I grew up celebrating both and intend on keeping it that way with the same traditions. 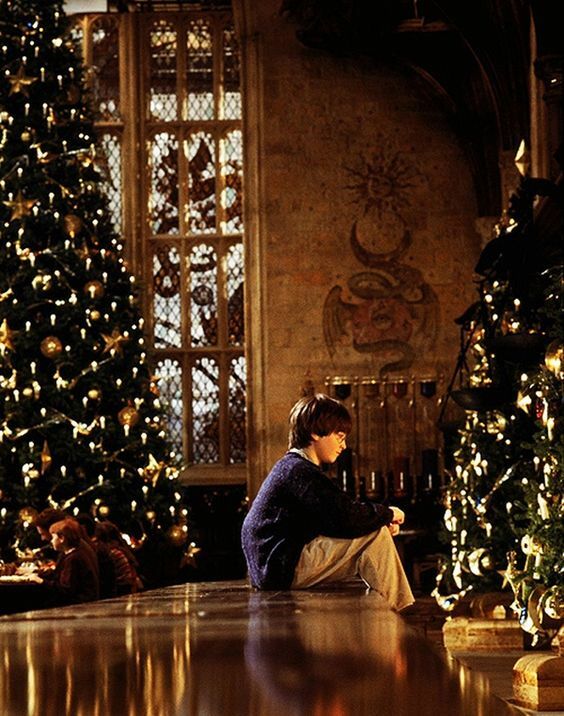 For me, the holidays might have come from different places, but I think they both have a good amount in common. The time we spend with our loved ones, the gifts we give and receive, the help we provide others, are all all a part of both Hanukkah an Christmas. The time leading up to the celebration is also very fun and exciting, this is probably my favorite time, the excitement over something new and the remembering of the old. That is what I like to focus on and obviously this is not how everyone sees it but for the sake of sharing the good stuff, I wanted to offer some insight into how I mold the two traditions together. 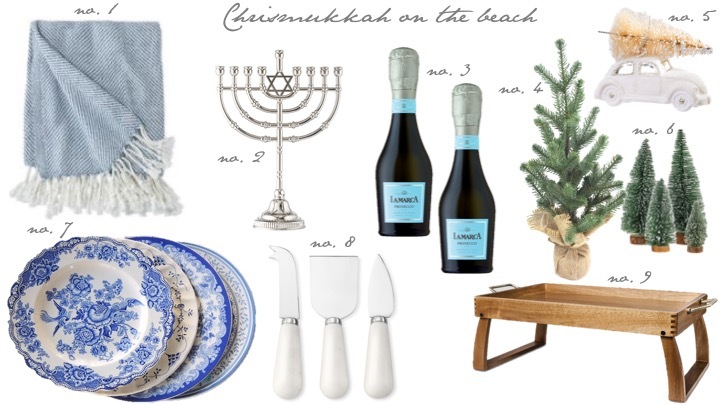 This year I decided we would have a little joint dinner with all the delicious parts of both holidays at the beach. So we rode our bikes down around 3:30pm and hit the perfect timing for light at the beach to both shoot and devour our glorious spread. That is probably the second best element to doing these shoots, enjoying the treats after grabbing some great content and seeing how nicely it all comes together. So how does one blend two distinct holidays into one? I have always seen this as the opportunity to take the best of both and make it my own. Ever since being a small kid I have always been inspired by the idea of making the holidays a creative experience for myself, and this year was no different. My favorite new addition to all my future Hanukkah celebrations is the grilled cheese latkes my genius fiancé found and made for us. How amazing is this??? It was so delicious dipped in sour cream and now I don't think I will be able to eat a latke without cheese ever again. I also really enjoyed using these adorable little trees on top of my cookies staked with cream cheese frosting (I tried to make it into a mini cake but failed miserably). And in addition to the little trees you can also use an ornament, as I did after having no luck finding a mini gingerbread house. All of the recipes here are fairly simple, although I can't attest to having done any of them myself. However, I did make the Hanukkah gelt, which only involved melting the chocolate in the microwave and freezing it into a mold, but hey it's a step in the right direction right? The gold dust was extremely fun to brush onto after and would be a super cute activity to do with kids considering how much fun I had myself. In addition to linking all the recipes, I also linked the decor items we used as well. My biggest suggestion for any beach picnic is to bring some type of flat surface, like a tray so that you can balance drinks on. Enjoy! For all the ladies who have major style, this one is for you. I had a lot of fun gathering all the beautiful things in both these guides. 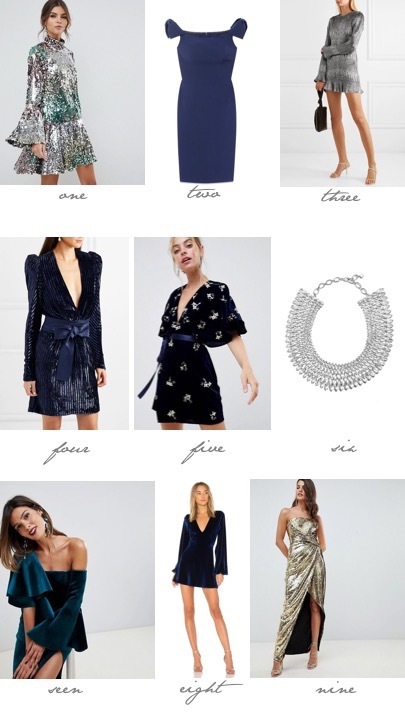 Particularly thinking of all the fashionable things I like, from mint julep cups to statement earrings, these are gifts I think most people who enjoy dressing up are likely to love. 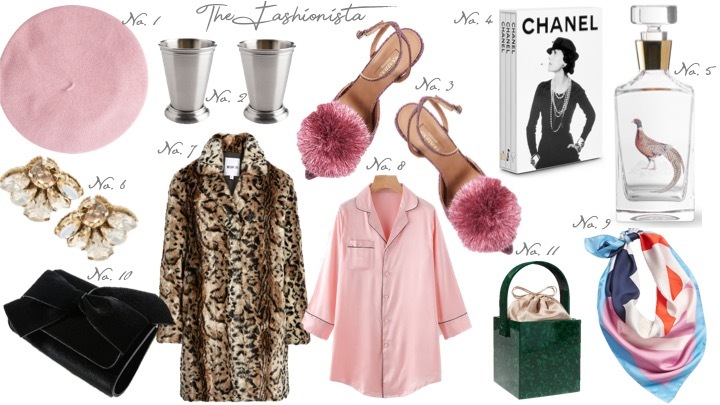 The classic Chanel book set and leopard fur coat are considered basics to most who love to look just a tad more fabulous than everyone else, and of course the pom pom heels are just another extension of myself. The extra special guide below, is for all those overachievers, investment gifts I call them. Some of the things I have personally loved forever and will stand the test of time, hence some of the hefty price tags. Enjoy! Every year there is always the occasional secret Santa exchange at a holiday party and I will be the first to admit I often grab something overpriced and not that great in a rush to make the event on time. This year I plan to have a few presents on hand at all times and anything I don't use will just become a stocking stuffer for myself! 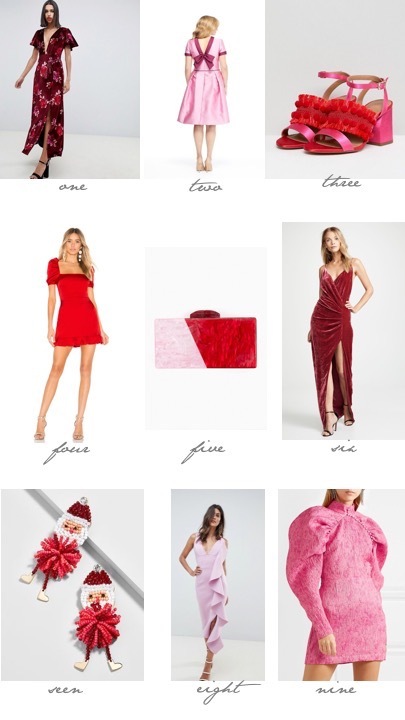 So I created this little guide to assist everyone in finding a few nice things for friends and party goers or as mini gifts for Hanukkah or Christmas. Enjoy! As someone who absolutely loves an opportunity to attend to the details, this guide has a lot of room in my heart. I’m sure you probably know somebody similar, who cares about whether or not the coffee table book stack coordinates in color and size, who wants the right mix of decor on the mantelpiece and can spend a minimum of three hours reorganizing a coffee table. Even those who aren’t as detail obsessed as myself can appreciate a beautiful way to layout cocktails and appetizers or add something cute to a bar cart. So when flowers or a bottle of wine just won’t cut it, here’s a guide for giving more to the hostess or decor enthusiast like myself. Enjoy! Because the holidays aren't always merry and bright... Beyond the mistletoe, classic movies, enticing treats, ornate decorations and overhaul of lofty expectations for happiness, altruism and gratitude, lies the not so jingle worthy reality that holidays can also be hectic, stressful, overindulgent, lonely and expensive. When our friends, families, partners, kids and coworkers can bombard us with unattractive small talk, uncomfortable political discussions, the overconsumption and ugliness of too much food and booze. Or when we are reminded of those who've passed or are no longer are in our lives in the way they used to be. Or the tendency to overlook or instigate the differences and separations between family members and have to face old wounds, stressful memories of the past. 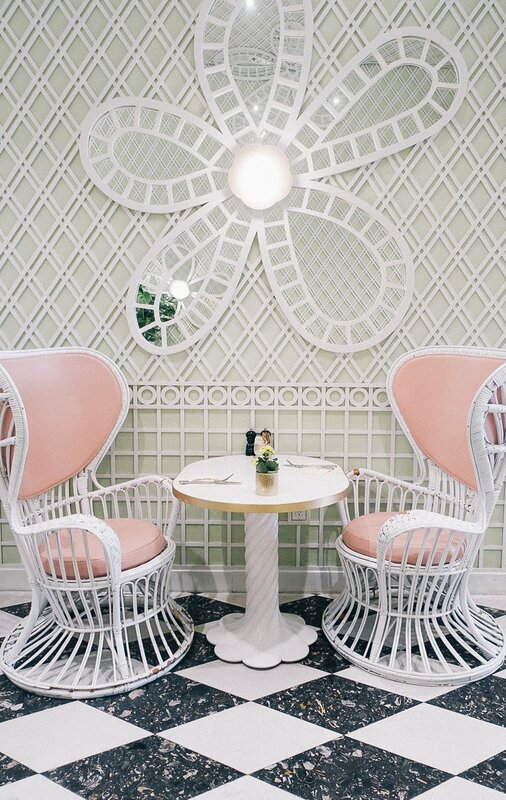 The reality is that a picture perfect holiday doesn't exist no matter what Instagram and the Bergdorf Goodman windows tell us. So today I'm offering a little room for us all to be real about the part of the holiday that hasn't always been so celebrated, but has always had a seat at the table. I originally wrote this post two years ago around the holidays and my intention was to write a newer version, but it seems like pretty much everything here still applies. So I tweeked a few things and added some new thoughts, but for the most part, these were the main themes I considered when thinking about the holiDAZE we can easily fall into. I write this post with a lot of honesty, empathy and of course, love. Enjoy. 1. Mindfulness around the food and booze... but seriously, so hard. This, I believe is one of the most difficult things for me to maintain mindfulness about during the season of nonstop feasting, cheering, and nibbling on salt and sugar. If you are only planning to attend one celebration then by all means go all out and consolidate the cookie and alcohol combo hangover, but for those of us attending multiple holiday parties it's a slippery slope. And let's be real, I often find the yummy cheese plate and festive sugar rimmed cocktail as a reward for doing 20 minutes straight of small talk with a girl named Sara who hates her boss and is considering a retreat in Bali, no offense to any Sara's out there or Bali retreats, I'd love to do one at some point. It's just so tempting sometimes to calm our social anxiety with a lot of cake and wine. But at the end of the day I will often ask myself, "is it worth the lull, the bulge, the lack of energy, the headache, the hangover?" And to be clear, I try to always ask myself these questions from a place of love and acceptance of my body, and not shame and resentment for my choices. I ask myself these questions to create consciousness around the way my body feels and my part in fostering the good, rather than attempting to scare myself skinny. I try sometimes to think of all the cocktail parties as a marathon, instead of a sprint, trying to think of other ways I can manage some of the temptation by nourishing myself maybe before I go to a party with foods that make me feel good, so I'm not starving and consuming large amounts of stuff that won't feel good the next day. It's not an easy task but before alternating between nonstop fasting and feasting for several months, it might be worth some consideration. Our bodies and minds are so incredibly impacted by what we feed it but I also want to enjoy myself and embrace the traditions that come with seasons. So the awareness is not so much a restriction as it is a point of consideration and care. 2. Family comes first, but... The holidays are also supposed to be enjoyable, so why do others have to dictate what that looks like exactly? I know, I know, this is hard one. But I really believe that as individuals we need to stop apologizing for wanting more for ourselves, especially when it comes to our own happiness. If you don't enjoy seeing Aunt-oh how are you still single?- then don't. I understand people have commitments to see family for so many different and complex reasons, and sometimes it's just not feasible. I wonder, however, if is at all feasible to cut some of the guilt out and do what's best for yourself, your partner, or your kids in any small way (for example limiting the time with difficult family members or planning something separate and special for yourself or loved ones). Life is just too short and the holidays too special not to enjoy some or all of it the way you'd like. 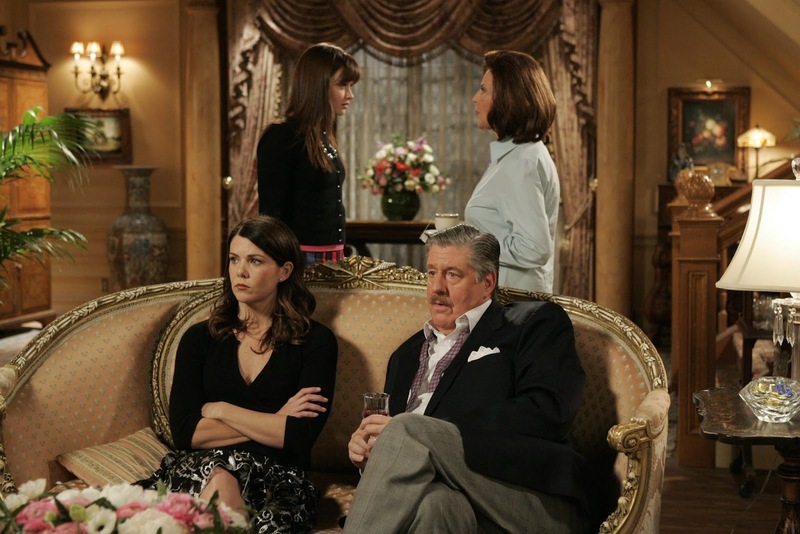 And if you can't avoid cousin-I'm so much better than you- than at least set some boundaries. Don't engage in the criticism or negativity, rise above what is essentially someone else's problem to the best of your ability. It's your holiday too, and if that means asking Uncle Fred to talk about something else other than politics, that's okay. 3. Can we just say no... Like the last thought but a tad easier sometimes with friends than with family. 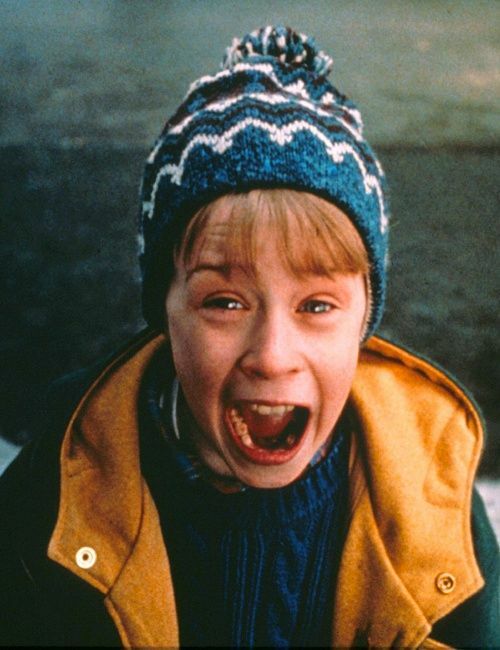 Saying no to "omg I haven't seen you in forever, let's do brunch", saying no to more than two secret Santa parties, saying no to the entire cookie making station, just take your snap of the cute holiday party invite and Instagram that custom hot chocolate making station and get the hell out. Saying no to whatever you don't want to go to and stop feeling bad about it. It's not selfishness, it's common sense. Remember, the holidays are about being happy, right? 4. #Holiday on a budget...Let's face it, way easier said than done and I am no expert in budgeting. 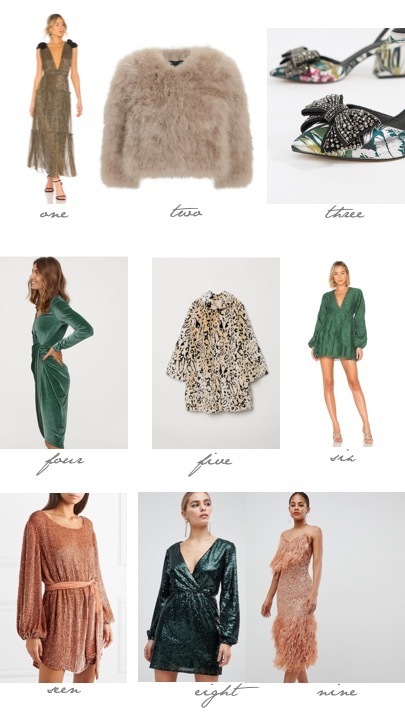 We all want that understated but ultra-luxe and on trend New Year's Eve dress, the substantial donation to our favorite charity, the extra pretty gift wrap option, the $70 ugly Christmas sweater (I wish I was kidding), that gift that makes our partner go wow! And with social media it's hard to re-wear the expensive cocktail dress and not be a tad jealous about what model Range Rover kid car the Joneses got Timmy. It's the thought that counts and I'll admit that it is sometimes very difficult for me to understand fully. So in the spirit of supporting the opportunity and meaning behind giving this season, making a budget for everything involved, not just the gifts and donations, but the real cost of each event, the holiday cards, the last minute/overpriced bottle of champs, the beauty regimens, the Uber surge pricing, the outfits, the secret Santa gifts you forgot about until the night before, and all the little extra details that add up, aka the $8 ornate, but oh so convenient wine gift bag nobody will ever use again. Of all the holiday hangovers, getting a terribly huge credit card bill the next month will never be worth it and so instead of putting it off, plan ahead and try your best to stay as close as possible to an amount you're comfortable with. 5. Don't just do it for gram...I know, I know, I'm a TOTAL hypocrite. But I do constantly tell myself this all the time and for the most part it reminds me why I gather and plan before the gram (haha that wasn't meant to rhyme but I like it). Remember that you can Insta at anytime and often it's the photos we don't post that make us look cooler. If you're having a good time, the photo can wait, if it has to happen at all. Heather Dubrow said on her podcast that she only takes photos at the beginning of an event so she can enjoy the rest of her time without worrying about it. Clearly she isn't a blogger, but I think the principle still applies. Some of the best photos I have taken required the most work and stress. I am clearly still thinking hard about this one but I try to avoid any spontaneous photoshoots so that I can truly enjoy the night without worrying about missing the good light. 6. Exercise, exercise, exercise... A general rule of thumb that's been particularly useful for me in this last year. If I can't make time to relieve the stress, then I don't make it. AKA if I know I'm going to be in a frenzy going to three events in one week and won't have time to recover (aka workout or relax a night or two in between) then I just don't go. Its kind of like putting gas in the car, if you are constantly on empty you won't be able to go very far! I also have listened to my body and it just does better when I get a work-out in. Even if you don't have a lot of time, doing something as simple as jumping jacks at home before getting in the shower can make a difference in how you feel. I will often move through a few yoga poses just to release some of the tension from the day before an event in the evening, since I tend to work out in the mornings and need more blood flow in the evening. Every little bit counts and remember it's about how you feel that is important here. 7. Can we honor those who've passed... Perhaps one of the hardest parts about the holiday is being reminded of those who we have lost, who played significant roles in our celebrations in past years and remind us of how much we miss them even if the rest of the year is more bearable. As a therapist I often encourage clients to acknowledge the loss in the safest and most bearable way possible. This can vary from reading a poem or quote, playing a particular game, sharing a fond memory, eating a special food, visiting the grave or special place he or she used to love. These are not as simple as they sound and perhaps not appropriate for every situation, however, often times allowing a welcomed space, that may come with some sadness and difficult memories, feels better in the long run then avoiding the loss entirely. One of the most beautiful things about the seasons is the comfort of the old but also to opportunity of the new. It's up to us which one we choose to listen to. Let's just stay in... this was my favorite guide of them all to create because if I had to identify my favorite part of the holiday season it would likely be the time spent at home, cuddled up on the couch, by a warm fire, sipping a hot drink, reading or watching something great. I have lots of memories being a young kid in Chicago, staying in where it was warm and spending time with my family and friends. I loved the decorating, the baking, the books and the cozy pajamas. I loved watching Home Alone and Eloise at Christmastime at night while the lights from our menorah and tree dimly lit the room. I loved having our dogs snuggle next to me on the sofa much more than attending parties, shopping or exploring all the holiday activities. So when I think about some gifts that truly embrace the holiday season I remember all the small Christmas shops my family used to pursue in this cute little town outside Chicago and how exciting it was to give or receive them. So this list has lots of ideas for anyone like me who enjoys the fun at home and likes to stay cozy! Enjoy! Keep it classic... is my style mantra and many others too. Gift giving can be tricky, especially for the important people in your life, but these are all items that almost every woman with style is likely to love. Colors like camel and black can be far from boring and stuffy. 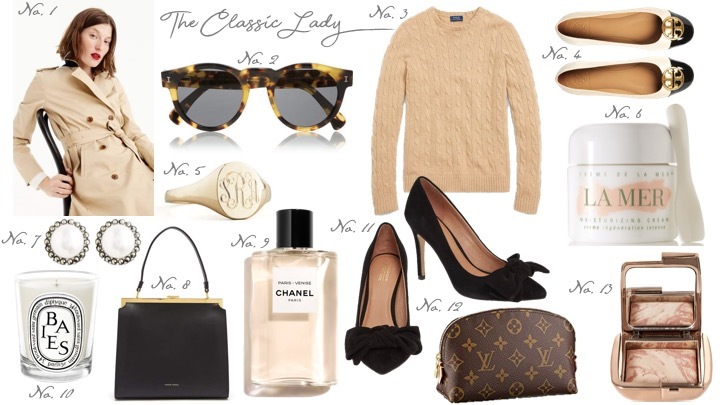 I included some of my most tried and true classic style elements here; a cable knit cashmere sweater, black bow pumps, Chanel perfume, a structured lady like bag, a gold signet ring and of course, the epitome of chic, the trench coat. 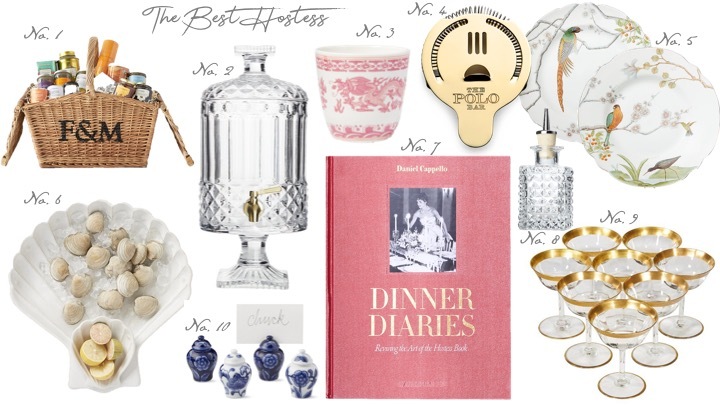 So unless you have no interest in style that has stood the test of time, you're likely to love something from this list, or find something perfect for someone you love. Enjoy! Here we go again... 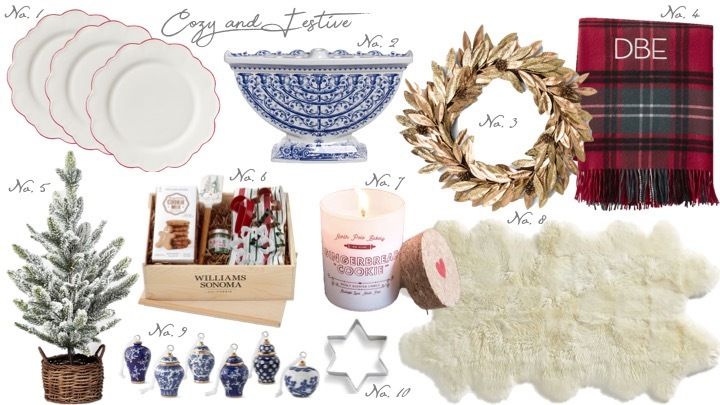 Gift Guides for the holiday season are going live starting today! This year I will be dispersing them individually each week instead of one overwhelming guide all at once. I decided to start with my monogrammed guide as anything personalized tends to take some extra time to order. Which is honestly one of the reasons I love receiving monogrammed gifts, because the thoughtfulness behind them is always there. It also makes me feel extra special to have something made just for me. Enjoy! Oh it's coming! The time of the year I love most next to summer, the most wonderful time of the year. The holidays for me have progressively become more fun and more important over the years. The mix of familiarity and excitement each year keeps me in good spirits and it's something I tend to always look forward to. So I have compiled a bit of a list of things to fully indulge in the festivities! Does anyone else actually do this? Enjoy! It's such an old and true winter tradition I grew up looking forward to each season. I have so many fond memories of the outdoor skate rinks in downtown Chicago and even more good memories of the yummy hot cocoa we got to drink afterwards. This year I have a skating rink within walking distance of my place and spending an afternoon there is a high priority on my list. Wish me luck! This is something I try to do every year and for some reason I just can't get around to it. It's either too hot or too sweet for my palette but I am going to find a chilly night in LA (aka below 70 degrees) and get it done! Ever since the Dominque Ansel bakery came to The Grove with their beautiful flower marshmallow hot chocolate drink I keep seeing all over social media, I have been eager to check out the hype. Will deliver a full report, likely on Instagram. I have been wanting to invite some friends over to do this for the last several years but for whatever reason never got around to it. I just bought a few new cookie shapes that I am excited to use, a champagne bottle and a poodle of course. Not exactly holiday related but festive enough for me. If only I had the same skills as Lauren when she created these fabulous birthday cookies. Rodeo Drive is the perfect representation of opulence and so the center of Beverly Hills during the Holidays is just as you'd expect, decorated beautifully with lights and excitement. Two Rodeo has a menorah lighting each year and they of course display a big, beautiful Christmas tree. It's a wonderful place to visit at night and stroll with a warm drink. I plan on doing just that before a cozy dinner at Nate 'n Al or the Fountain Coffee Room at the Beverly Hills Hotel, aka, the best place on earth. Every year the city of Beverly Hills does a menorah lighting and I try to go each time! There's also tons of trees lightings all over the city, one of the most popular is at The Grove. I have been going to this pretty much every year since I first moved to Los Angeles. It's a fun little activity for a Friday night with friends to celebrate, shop and eat free cookies at each store. Usually I like to have a yummy dinner afterwards at Forma, but this year I won't be able to go unfortunately. I highly recommend it however, if you're looking for something mellow, family friendly and on the westside! I love celebrating anything and so when the holidays roll around I'm eager to decorate a table and invite people over or find a pretty spot to have a nice night with my girlfriends. There are so many beautiful places to eat in Los Angeles but since my fiancé is quite the cook I might just have to have him whip us up something fabulous. My contribution will of course be the table and cheese plate. I have to admit, this won't be as fun as it was the last couple of years as my old roommate had the best little Chrismukkah decorations. Last year we took it to another level with the Elf on the Shelf who we loved hiding all over the apartment. This year I am going to do my best to get our place as cheery as possible, wish me luck! ...How the Grinch Stole Christmas, The Nightmare Before Christmas, Eloise at Christmastime, The Santa Clause, A Christmas Carol, The Holiday and all the cheesy Lifetime, Netflix and Hallmark movies possible, just to name a few! There's a cheese plate for every season... And this is mine for this fall! My new obsession this time? Figs! As you might remember from my fall cocktail post, figs have been the most perfect accent to any autumn dish or drink. Obviously I am not the first one to figure this out but I am glad I finally got with it. And for a cheese plate it's a wonderful addition due to it's natural sweetness. I have always seen lots of fig based spreads in the cheese section of the market and so adding some figs made sense. As for the cheeses, a good cheese plate always has about three or more different cheeses that vary in firmness, taste and texture. I usually tend to always do a manchego and brie since those are my favorites, and then pick something new each time for the third cheese. At the store I found a very vibrant, orange colored, crumbly hard cheese called mimolette that was so perfectly fall. The mimolette cheese worked wonderfully with the brie and manchego and looked beautifully when placed with everything else on the plate. In addition to the cheese I added raw honeycomb as always, red grapes for the color and sweetness, and the figs of course to just nail the fall theme exactly. I used little French bread slices that I found pre-sliced at the grocery store and added the cranberry crackers, perfectly in sync with the autumn theme. I've made a little list with some links below to clarify everything I used! Enjoy! Oh so cozy, was how I felt in my yummy new teddy coat on the red-eye to New York. It was the only favorable part of the whole flight experience given I just cannot sleep on planes unfortunately. Like everyone else I have been seeing these coats everywhere, on everyone, and I finally decided I needed to be snugged up too, even in Los Angeles. And I honestly struck the jackpot with mine; it's super soft, very light, a beautiful shade of blush and was extremely low priced. 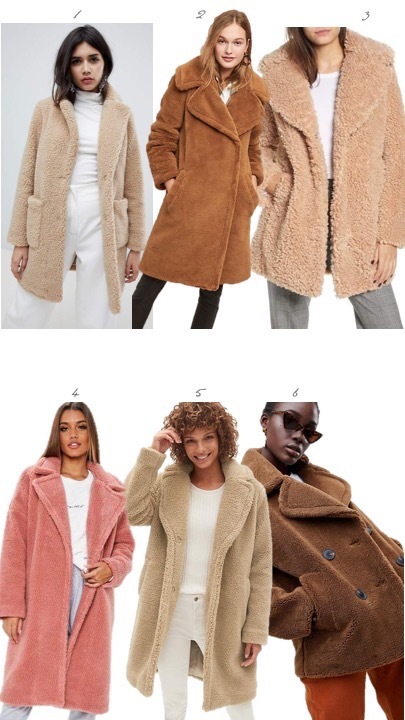 So I have linked mine, as well as my other perfectly fluffy and plush options for all those chilly days ahead. I wore mine with a cozy turtleneck and jeans but it could be just as stylish over a dress or with a cute suede skirt and high boots. I haven't exactly worn mine out yet in Los Angeles but trust me, there will be plenty of moments to do so once the colder weather rolls in! Especially at night and after daylight savings makes 5pm feel like midnight! Stay warm folks, enjoy!